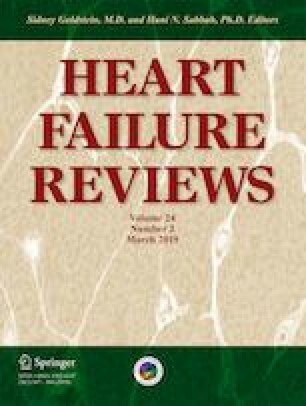 Heart failure with preserved ejection fraction (HFpEF) is a common disorder generating high mortality and important morbidity prevalence, with a very limited medical treatment available. Studies have shown that the pathophysiological hallmark of this condition is an elevated left intra-atrial pressure (LAP), exertional dyspnea being its clinical manifestation. The increasing pressure from LA is not based on volume overload (such as in heart failure with reduced ejection fraction) but on a diastolic left ventricular (LV) dysfunction combined with an inter-atrial dyssynchrony mimicking a pseudo-pacemaker syndrome. In this review, we aimed to summarize current knowledge and discuss future directions of the newest interventional percutaneous therapies of HFpEF. Novel interventional approaches developed to counter these mechanisms are as follows: LA decompression (inter-atrial shunt devices), enhancement of LV compliance (LV expanders), and inter-atrial resynchronization therapy (LA permanent pacing). To date, inter-atrial shunt devices (IASD) are the most studied, being the only devices currently tested in a phase 3 trial. Recent data showed that IASD are feasible, safe, and have a short-term clinical benefit in HFpEF patients. LV expanders and LA pacing therapy present with a smaller clinical benefit compared with IASD, but they are safe, without any major adverse outcomes currently noted. With further development and improvement of these mechanism-specific devices, it will be interesting to determine in the future whether a complex intervention of multiple HFpEF device implantation will be safe and have further benefits in HFpEF patients. This study was funded by the Romanian Academy of Medical Sciences and European Regional Development Fund, MySMIS 107124: Funding Contract 2/Axa 1/31.07.2017/ 107124 SMIS.